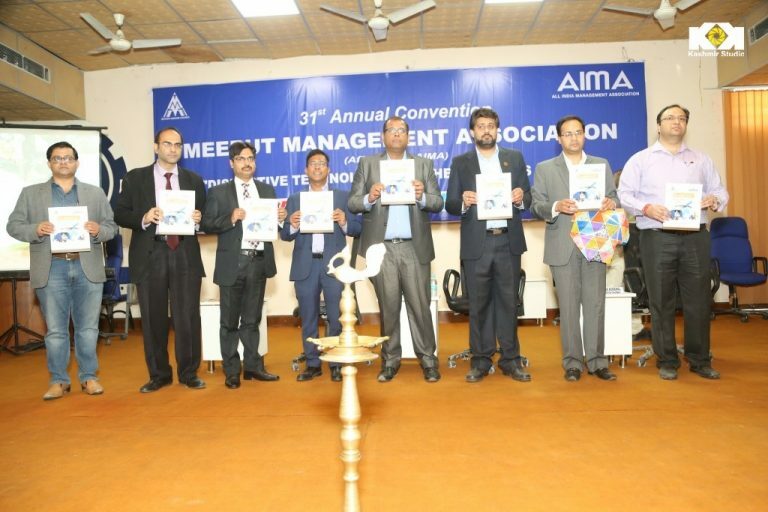 Crossing milestones and setting benchmarks, yet again Sofocle is going to be the center of attraction at the 31st Annual Convention of Meerut Management Association on 21st April, 2018. Dr. Ravi Chamria, C.E.O. Sofocle Technologies, will share his opinions and insights on the convention agenda, ‘Disruptive Technologies in the Logistics Sector’, and brief about Supply Chain Management through the market leading product, SofoChain. 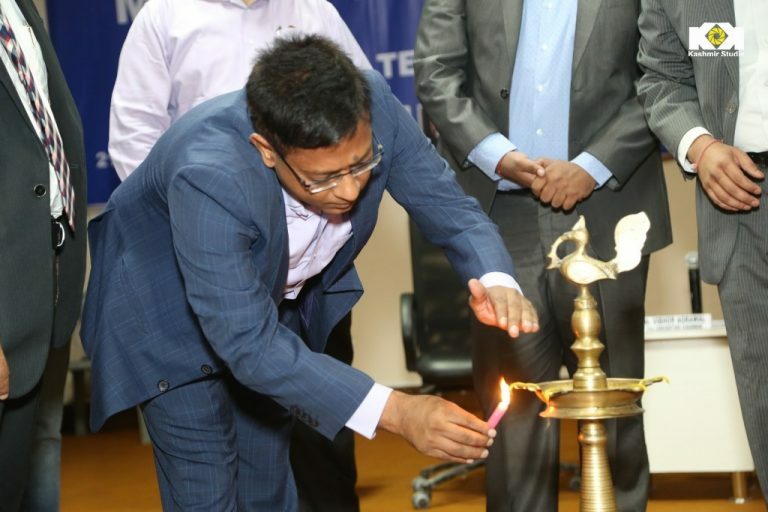 Intel Corporation, Hyderabad organized its flagship event, 'IntelDevCon 2018' for development and technology associates on 11th April, 2018. Dr. Ravi Chamria, C.E.O. 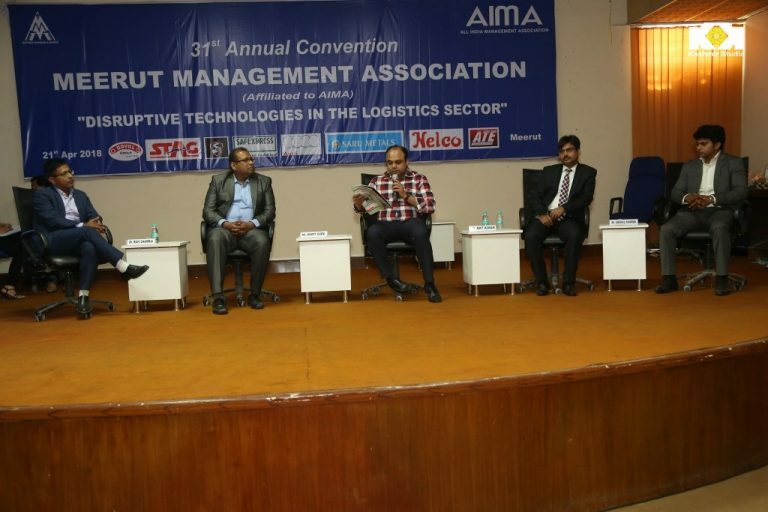 Sofocle Technologies, participated as a speaker and was invited as a panellist in the inaugural session. The topic of his speech was 'Making Blockchain Real'. 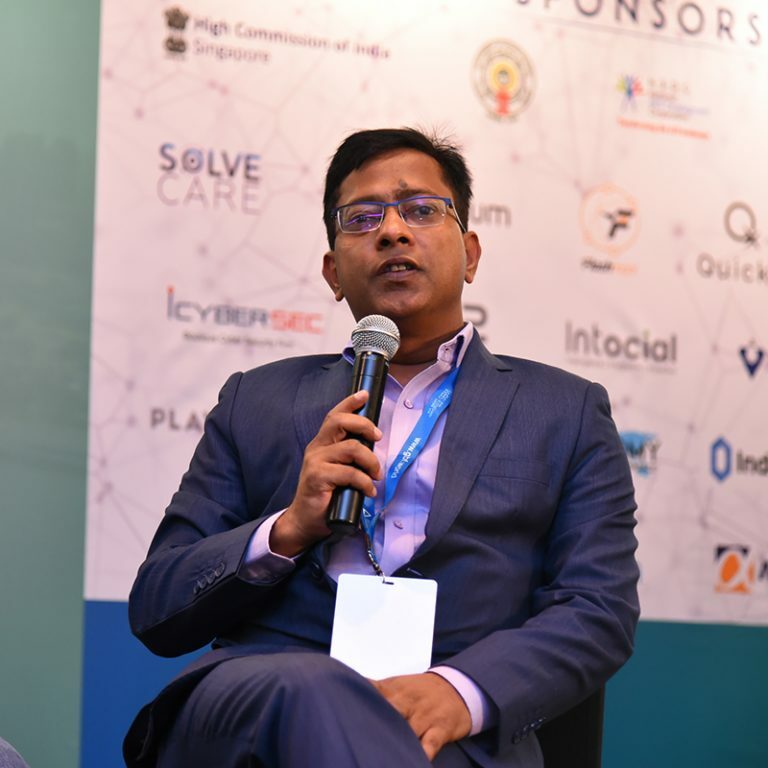 With the prime focus on` Blockchain, Cryptocurrency, AR/VR, AI, e-sports, Gaming, m-Gov/e-Gov, Cyber Security, IoT and Digital Entertainment, Huddle India organized a 2-day event, #Huddle, with talks at roundtable discussions, networking sessions and facilitated workshops. Dr. Ravi Chamria, C.E.O. 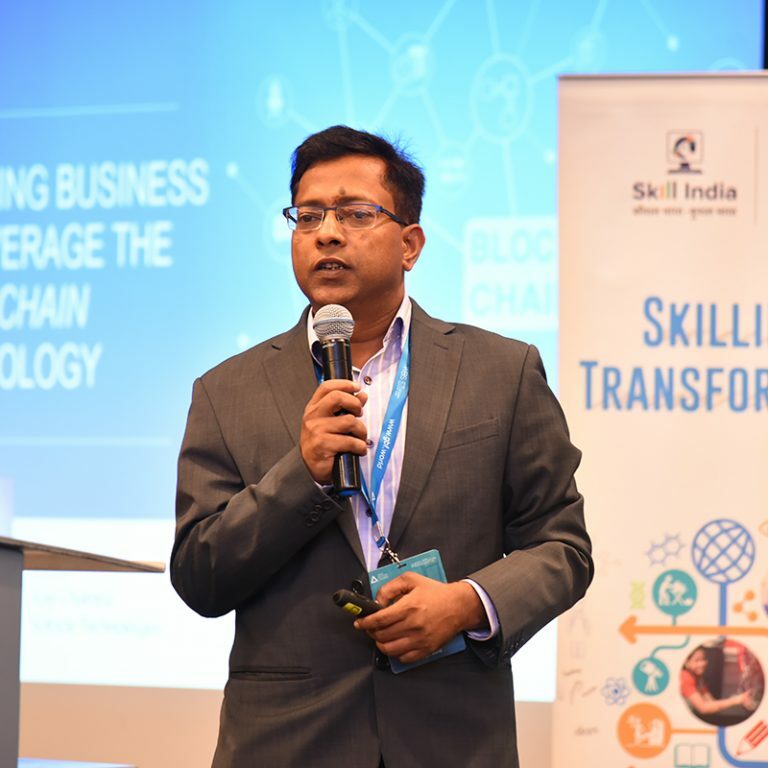 Sofocle Technologies, shared his insights over 'How will Blockchain Unlock your Value Chain', along with the case study of an Oil Major and future of Blockchain in Supply Chain. The list of speakers at the event included successful founders, serial entrepreneurs and investors. The podium is set and the world is ready to witness the leaders of Blockchain to share their knowledge at the much-awaited Dubai Blockchain Summit, 2018. Sofocle Technologies, leader of Blockchain solutions, is one of the major sponsors of the summit, to disseminate knowledge over Blockchain globally. Dr. Ravi Chamria, C.E.O. - Sofocle Technologies, will be one of the reputed speakers at the Summit. He will share his vast experience of over 18 years in the technological arena and the beneficial implementation of Blockchain in different industries. 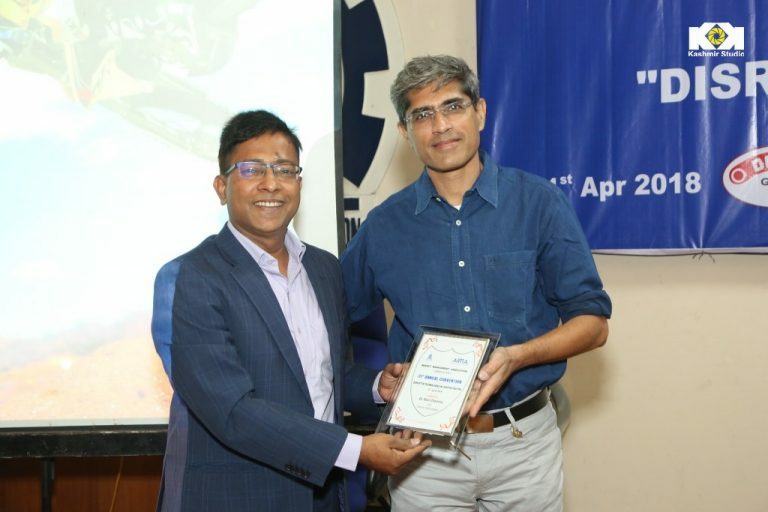 The World Blockchain Fintech Conclave is taking place in Mumbai on 20th and 21st March, 2018. 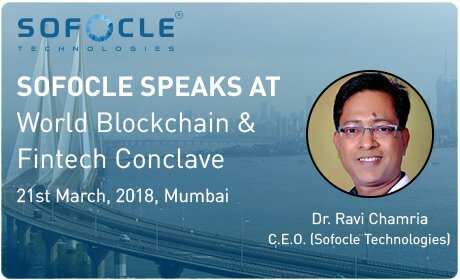 Dr. Ravi Chamria, C.E.O., Sofocle Technologies is invited as a Blockchain Leader and will be sharing his vast experience over Transforming Supply Chain Financing with Blockchain. Transforming Supply Chain Financing with Blockchain - Abstract Supply Chain Financing is a process wherein a lender/financer buys the whole or parts of an invoice raised by the supplier against the goods supplied to the manufacturer. The process creates a win-win situation for all the stakeholders, since the supplier's liquidity problem gets resolved by the finance provided by the lender, while the lender gets interest on the financed amount. On the other hand, the manufacturer gets more time to make payment, which in this case is to the lender. The Global Blockchain Foundation organized a two-day Singapore Blockchain Summit at the Suntec Singapore Convention & Exhibition Centre. Chief Guests for the event were the Indian High Commissioner of Singapore and Chief Fintech Officer of Monetary Authority of Singapore. 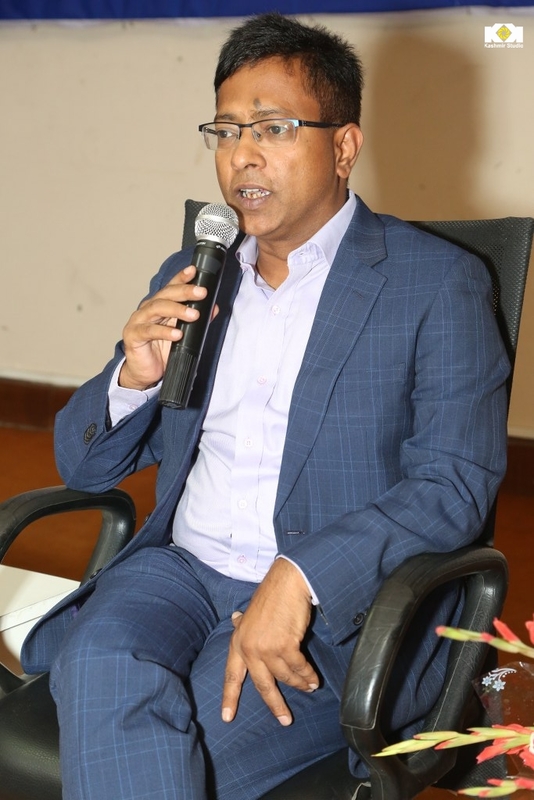 Dr. Ravi Chamaria, C.E.O. 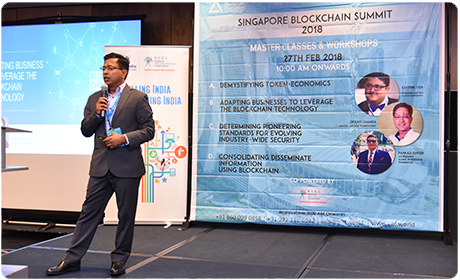 Sofocle Technologies, shared his profound experience in a masterclass over Blockchains, which was well received by hundreds of techies, CEOs and Blockchain enthusiasts from across the globe. Ms. Chamria, Co-Founder, Sofocle Technology shares a brief about herself and the company with Peter Lee, Tristone Blockchain Hub. Smartworkers and Sofocle Technologies Pvt. Ltd. are oragnizing a special session with Dr. Ravi Chamria, CEO. Become a Blockchain Expert! Session by Sofocle Technologies Pvt. Ltd. are organizing a special session with Dr. Ravi Chamria, CEO. Sofocle to answer all your queries on the disruptive new technology. Time: 4.00 PM - 5.00 PM. Sofocle co-sponsored and collaborated for COGNIZANCE 2018, India’s largest and annual technical fest of IIT Roorkee from 23rd to 25th March 2018. Sofocle organized Blockrush, a Blockchain based case study event, to hone the skills of the participants. Winners of this competition were awarded a handsome cash price of ₹ 25,000 and an internship opportunity at Sofocle. TTPIL – Trading arm of Toyota group, organized a National “Power-Up Meeting” on the 16th of Dec’2017 in Pondicherry. 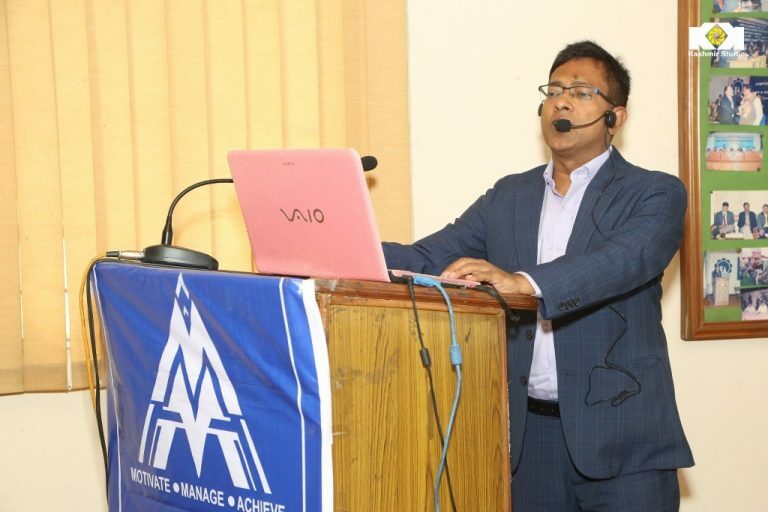 Dr. Ravi Chamria, C.E.O. 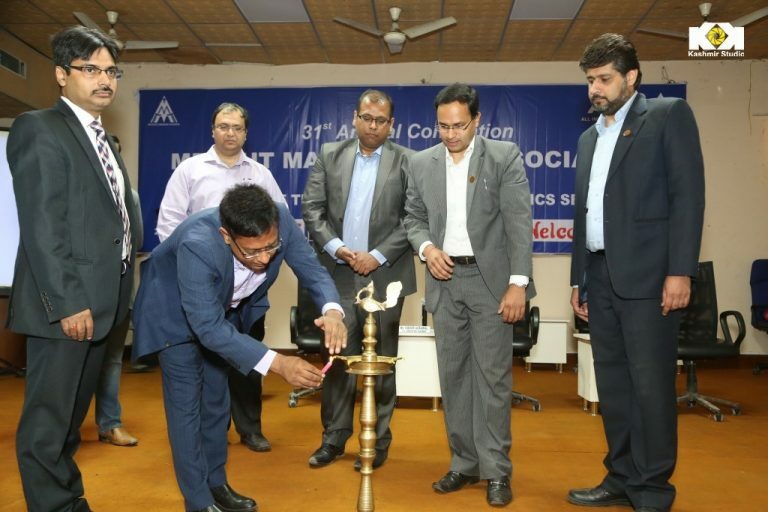 Sofocle Technologies was invited as a guest speaker for the event. 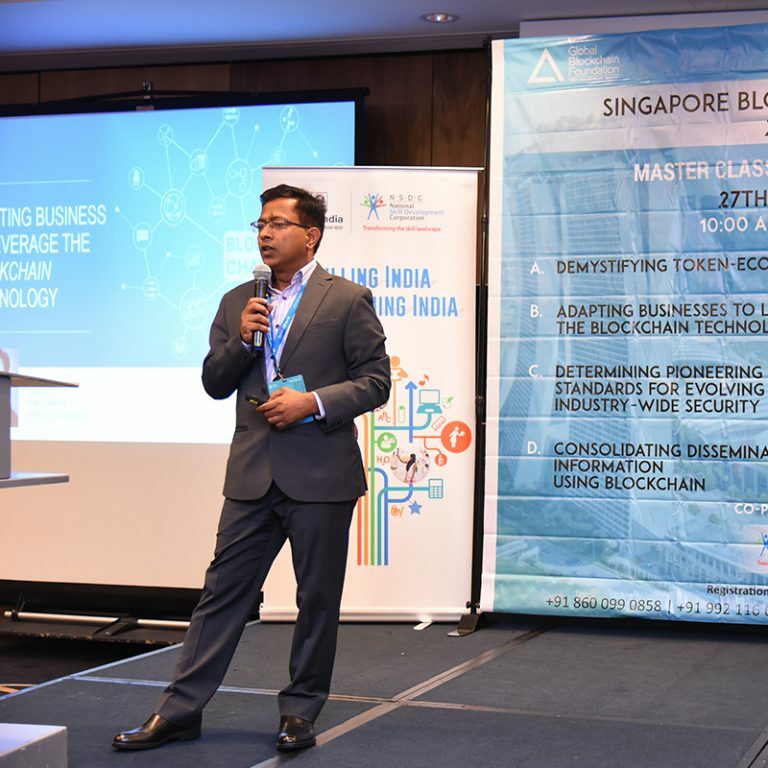 Dr. Ravi spoke at length about Blockchain Technology and its implication in different industries. He also spoke about Sofocle Technologies and some of its' market leading products sofoChain, sofoCap and sofoInsure.